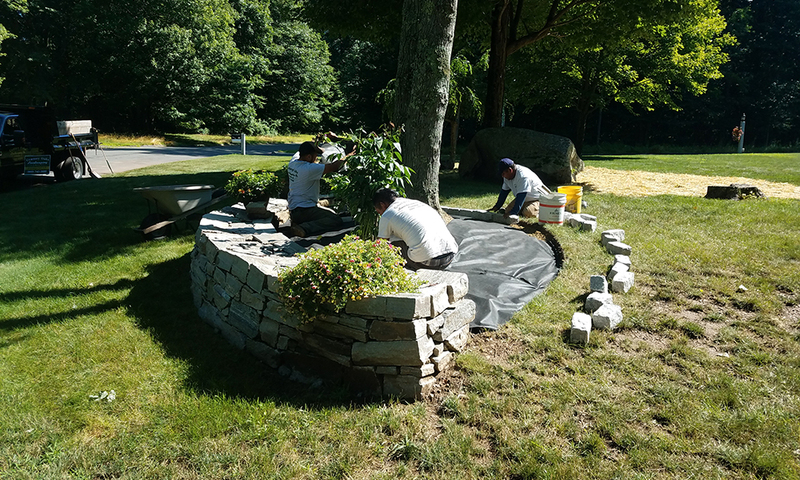 We're still working hard and there's time left to schedule that late summer/fall project! Imagine a beautiful new patio or hardscape element as the days get cooler and it's pleasant to spend time outside enjoying the crisp fall air. Installing or renovating a patio, walkway, or wall is a great way to make your yard more functional and enjoyable all year round. Even as the months get cooler you'll spend more time in your yard with a professionally designed and installed patio. You can use the patio as place to gather with family and friends to eat, have parties, or simply relax. You could even add a fire pit or hot tub for the ultimate outdoor living space. Give us a call at 860-742-3680 to schedule a consultation!